作者: The AsiaN Editor on 27 March , 2019. Yonhap News Agency and the Ministry of Gender Equality and Family jointly launched Wednesday a special exhibition to explore the lesser known stories and lives of women who fought at the front lines or behind the scenes to regain national independence from the 1910-45 Japanese colonial control. Except for only a small group of people, most notably Yu Gwan-sun who helped organize the March 1, 1919, Korean Independence Movement against Japanese colonialism, few female independence fighters have been fully studied or recorded in the history of the Korean resistance during the colonial period. But many women, among them, housewives, students, and professionals, joined secretly or in the open the national efforts to regain independence in and outside of the Korean Peninsula. The endeavors the women made were as diverse as raising funds, building schools and taking up arms. The special exhibition was arranged to bring to light those less explored stories of female independence fighters as the country marks this year the centennial anniversary of the March 1 uprising and the subsequent establishment of an interim Korean government in Shanghai in charge of leading further independence efforts. The exhibition, titled “Understanding, Memory and Future of Female Independence Fighters,” will run from Wednesday to April 9 at a room in the basement of the Sejong Center for the Performing Arts in central Seoul. Yonhap News Agency, the gender ministry and the government committee on the commemoration of the centennial anniversary will co-host the event. The exhibition consists of four sections, with the first one dealing with growing enlightenment and feminist efforts for equal rights that led to women’s participation in the March 1 uprising. The second section will explore female contributions and roles in the 1919 movement, while the following two sections will delve into women’s continued struggles for national independence following the movement, which often took place in foreign countries, including the Soviet Union, China and Japan in more militant manners. Some 100 photos, individual and group portraits of female independence fighters, three video clips and news articles covering their prowess will be displayed during the exhibition, according to the organizers. The special exhibition was prepared to demonstrate that remembering female independence fighters on the centennial anniversary constitutes the very act of running toward the future, the organizers said. 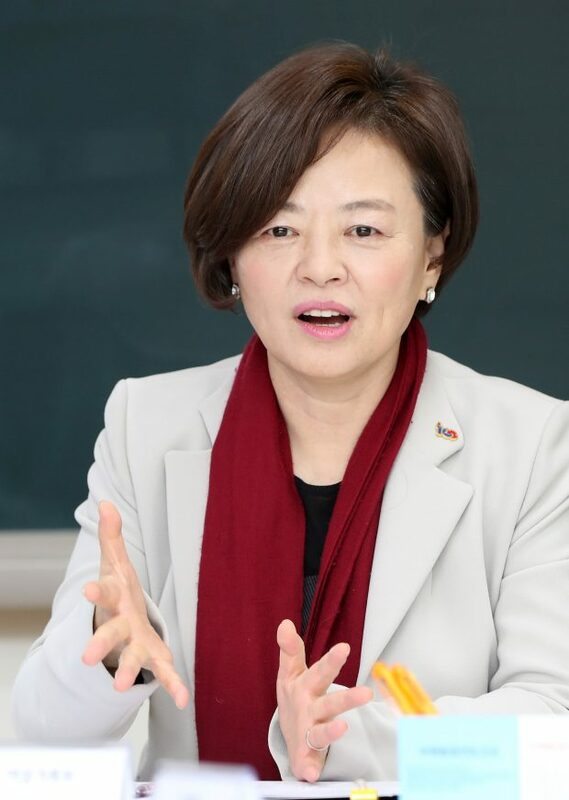 Gender Minister Jin Sun-mee and Yonhap CEO Cho Sung-boo will deliver speeches at the event’s opening ceremony set for Wednesday afternoon, which will bring together some 300 politicians, government officials and descendants of female independence fighters.